Here’s a quick quiz. Yes or no, do bed bugs jump? Can they fly? Are they fast? If you can confidently answer these questions, then you have a fair chance at identifying bed bugs that may be in your home. If you don’t know the answer to one or more of these questions, however, then there is much more for you to learn about bed bug behavior. Fortunately, I’m about to teach you everything you need to know about how bed bugs move around. It’s all in this article, so roll up your sleeves and let’s get to work getting to know these stubborn pests. Do Bed Bugs Drop From The Ceiling? How Do Bed Bugs Travel From Place To Place? How Fast Do Bed Bugs Move? When Do Bed Bugs Travel? Lots of insects look like bed bugs, and lots are able to jump, so you may see small black specks jumping around your house and wondering if you have a bed bug infestation. Here’s the thing though. Not all insects can jump, so the question is; can bed bugs? No, bed bugs do not jump. Although their preferred food source is human blood, they cannot jump between hosts. You have no worries about encountering someone with bed bugs and having a pest jump onto you, like with fleas. Bed bugs have low, wide bodies and short legs that are not equipped for jumping. However, the bugs can be transported between individual’s belongings, such as purses, gym bags, or luggage. Bedding that is moved between locations can also spread bed bugs. 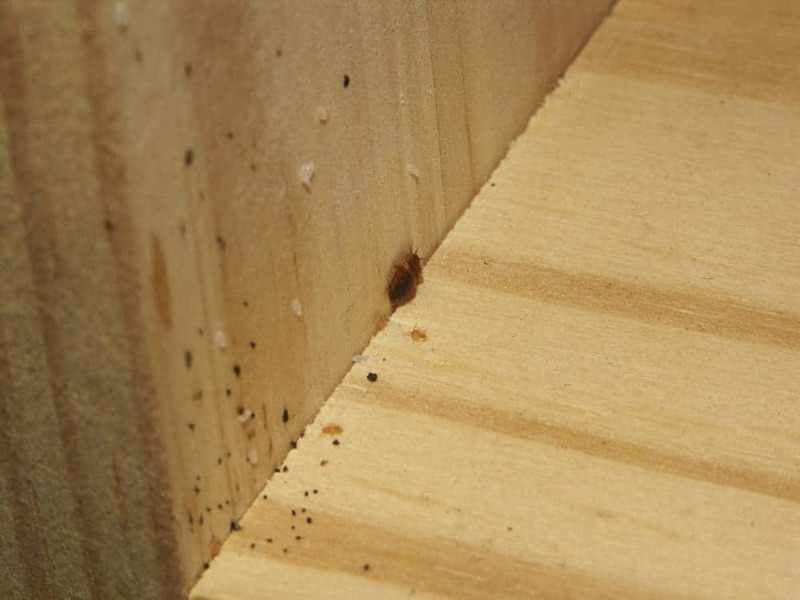 Some people have the misconception that bed bugs can jump because beds are high off the ground. However, these pests do not need to jump to get into your bed. They can simply take a ride on clothing or a human host, or they can crawl up walls, bed posts, and bedding that is hanging onto the floor. Also, they do not prefer to hang out on your body. They would much rather hide while you are mobile during the day and come out to feed when you are sleeping or sedentary. Fun fact: Silk and satin sheets are harder for bed bugs to walk on because it causes them to slip. Using these slippery sheets may help to keep the critters off you. 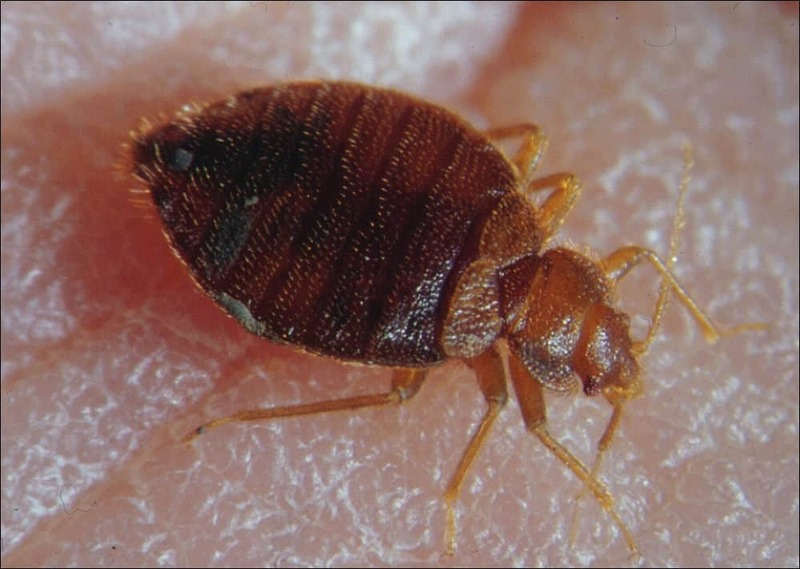 Bed bugs do not typically feed from mammals other than humans, so you are also unlikely to come in contact with bed bugs through pets. Simply put, bed bugs do not have the right kind of anatomy to be able to jump. If the pests you have are jumping, they are not bed bugs. It’s not uncommon to get flying pests in your home. Among them are termites, flying ants, and a variety of beetles. Because of this, it’s not unreasonable to ask yourself if bud bugs might also fly. No, bed bugs cannot fly. If you see a bug flying in your house, then, again, it is not a bed bug. These insects do have vestigial wing pads but not full wings. The wing pads can wiggle a bit, and that is all. Vestigial means that the body part is leftover from an ancestor during evolution but is no longer useful or functional in the current species. Although it is likely, then, that bed bug ancient ancestors could fly, today’s version absolutely does not. There is no way their tiny wing pads could lift them into the air. 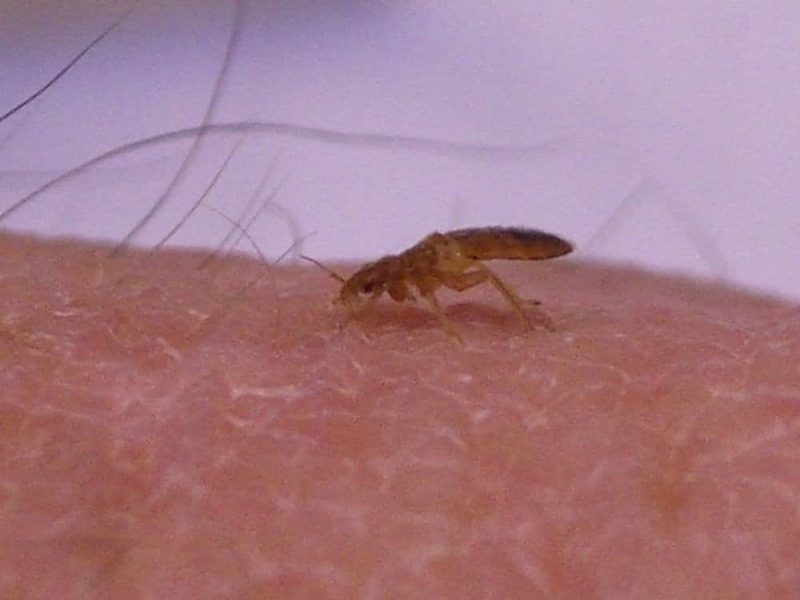 Some people report seeing bed bugs fly or leap. These people, however, have mistakenly identified another insect as a bed bug. Plenty of other bugs are bed bug look-alikes, and it’s especially easy to confuse them if you’ve never seen a bed bug before. Again, like the idea that bed bugs can jump or fly, the idea that they leap from the ceiling is a misconception. Bed bugs do not intentionally drop down from the ceiling. What can happen though, is that they lose their grip and fall off the ceiling. Despite this, it is commonly reported that bed bugs continue to attempt crawling across ceilings. Several things may be happening here. If you are treating your home for bed bugs, it may be the case that they have detected any chemical treatments you are using along baseboards and are simply running away from the threat. If the baseboards are treated (a common place to treat cracks and crevices for pests), then the climbing the walls to the ceiling is a safe move. Even if you are not using chemicals, bed bugs may still run to the ceiling. For instance, if the infestation is primarily in your bedroom and you find ways to isolate and bed bug-proof your bed, they may look for alternate routes to heat. Generally, your body is the greatest heat source in a room, and they are tuned into that in order to find food. When they cannot get to you, however, the next hottest place is often the ceiling, where heat rises. This is also a reason why bed bugs may be worse on second floors and higher. They cannot jump. They cannot fly. How exactly, then, are bed bugs getting around? It’s simple. They just crawl. That’s why some surfaces, upholstery, and bedding materials seem to be preferable to the pests. They require surfaces they can easily grip in order to get around quicker. Their movements are really quite limited, and they are not particularly good at getting obstacles out of their way. One movement advantage they do have is that they can turn quickly while moving, allowing them to change direction. Also, just in case you were wondering, no they cannot burrow into your skin or inside materials. They can only get inside upholstery or other fabrics if there is already a tear or opening. Their other big advantage is their climbing abilities. Bed bugs have small hooks on their feet that improve their grip. 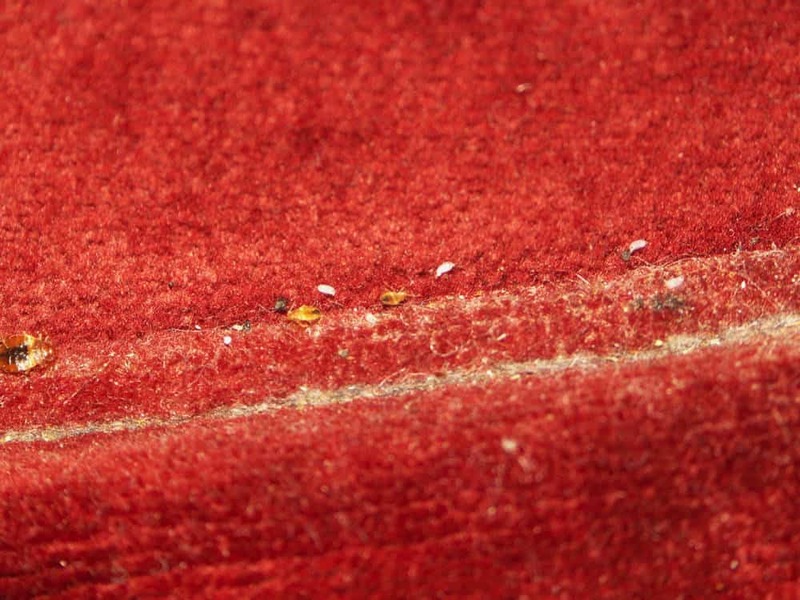 Most materials are fair game for bed bugs to climb and find access to a meal. They can climb plastic, paper, wood, cloth, and some metals too. The foot hooks grab onto the small pores and cracks found in many surfaces and textiles. The dependence on hooks for grip, however, does mean that some surfaces will give them difficulty. In general, smooth surfaces like porcelain, glass, and silk impede their climbing abilities. Terrain that is too textured is also more difficult for them. Their hooks are small, and their legs are not particularly strong, so hair and fur can deter their movement. This is why you won’t typically find bed bugs on your pets (and it’s good news for hairy people!). Bed bugs tend to keep a fairly even pace, which is similar in speed to an ant’s crawl. To put that into a measurable unit, they crawl about one meter, or about three to four feet, per minute. They are not good at crawling faster than their usual pace, and obstacles like grass or hair slow them down even more. That being said, their normal rate is still pretty fast for their size, so they’re good at running away and hiding. There is a myth going around that bed bugs only come out at night, but that’s not exactly how it works. They are not nocturnal. They just happen to eat when a meal is available, and that is often at night when you are still. They are only likely to be found in beds because that is the place where humans often make the most convenient blood meal. They can, however, infest many other places if people are sedentary in those areas. 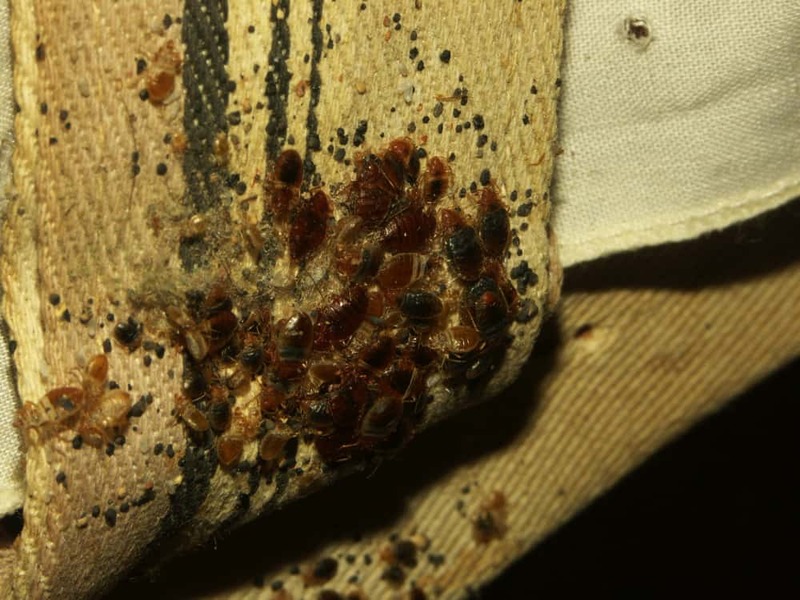 Speaking of places bed bugs travel to, the idea that these pests prefer dirty environments is also a myth. 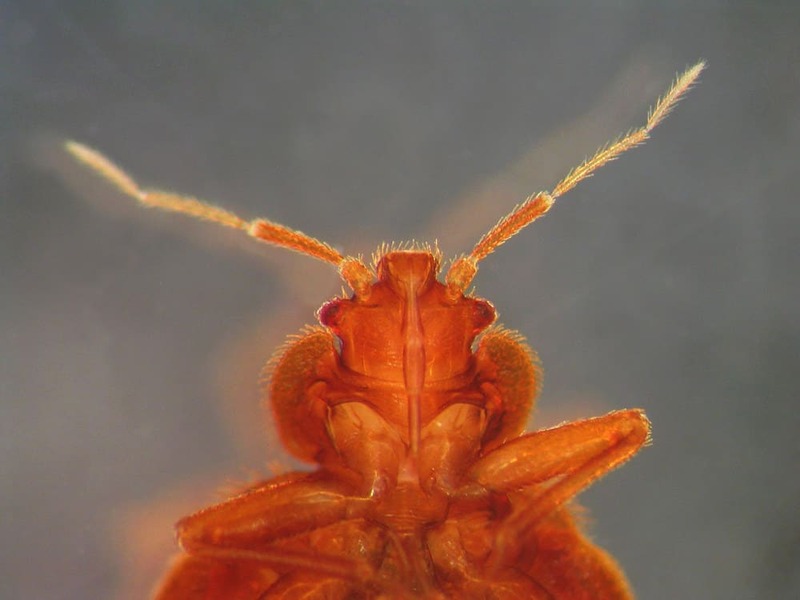 This idea likely started because bed bugs are more common in heavily populated urban areas. Guess what? The reason bed bugs like urban areas is because there is more human blood available there! More people equals more food for bed bugs, so cities make a densely populated buffet. It’s true that night time feeding is the most common, but they will come out during the day to eat if they are hungry. Don’t expect to starve them out either. Bed bugs will eventually starve or move on in search of a new food source, but they can go about three months without eating. Just because you were gone for a week’s vacation doesn’t mean your bed bugs moved out while you were away. Bed bugs do not jump. They do not fly. They do not appear magically or scheme to dive bomb off ceilings at you. They can, however, move quickly and find heat sources that indicate food (i.e., your blood) is near. These pests are not picky about where they get their food, and just cleaning your home is not enough to deter them. Probably the only indicator of a higher risk for bed bug infestation is living in a highly populated area. Hotels and apartment buildings are especially at risk, as well as homes in urban areas, but you don’t have to live in one of these places in order to end up with a bed bug problem.